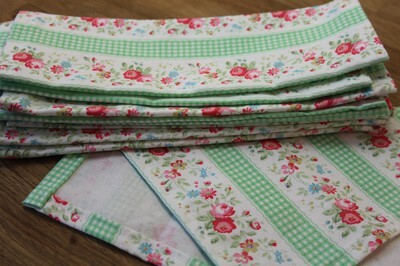 I had some leftover Cath Kidston fabric so I decided to make some napkins! Very therapeutic so I ended up making 8 of them. 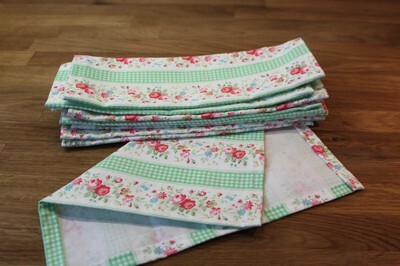 Would have carried on but had to restrain myself as I am not sure I am ever going to need like 20 napkins at the same time!? Now don't laugh, its my first attempt! Orders taken for weddings, ha ha!